North Melbourne has today welcomed Anytime Fitness as its shorts sponsor for 2016. Anytime Fitness has a network of 431 clubs in Australia and 2,726 clubs across the world, all accessible via one membership, providing its members with the opportunity to exercise at any time anywhere 24/7. As part of the deal, Anytime Fitness branding will feature on the Roos’ playing and training shorts from Round 1 onwards. Adam Weeks, Anytime Fitness Victorian Marketing Manager, said joining forces with North Melbourne was a perfect fit. 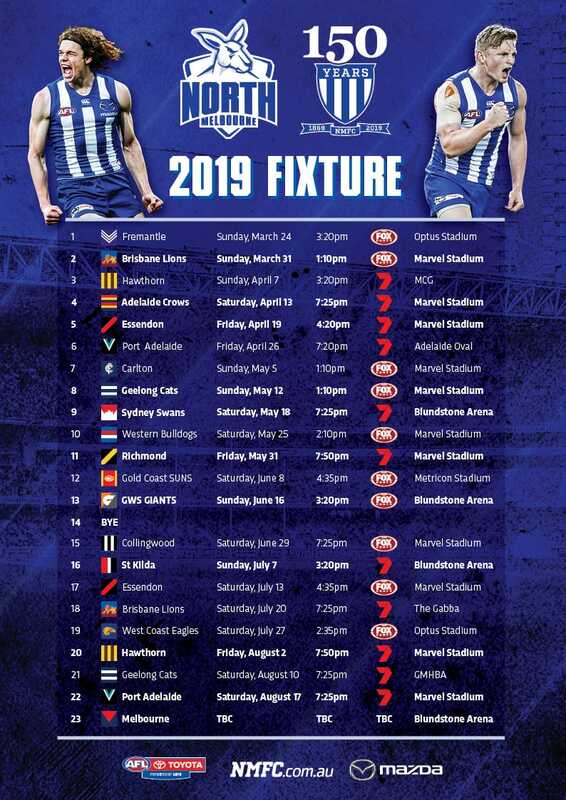 “We see North Melbourne as the ideal partner, and look forward to working with the club and its members and fans to ensure everyone gets the opportunity to live a healthy lifestyle and work on their fitness at our clubs,” Mr Weeks said. North Melbourne Managing Director & CEO Carl Dilena welcomed the partnership and Anytime Fitness’ support. “We certainly like to align ourselves with like-minded partners and Anytime Fitness fits that mould,” Mr Dilena said.